No longer for the wealthy and the establishment, high fashion morphed into a universe for anyone and everyone who makes it a priority and is willing to pay for it. My years at Creeds were when designer names were coming of age and democratizing an industry and fashion, in general, was becoming a national pastime. All the while, I was, indisputably, immersed in a master-class on brand-building taught by global icons whose names were, or they hailed from the Houses of Chanel, Ungaro, Valentino, Jil Sander, Missoni, Krizia, Sonia Rykiel to name only a few. I was learning what became my métier from the best teachers in the world, literally. Let me tell you how my branding career began. Occupying a city block, Creeds was our family owned and operated, women’s high fashion retail destination in Toronto. It was where I launched my branding career and honed my business skills. Day-to-day work included producing large scale fashions shows, trunk shows, complex retail negotiations, store design, advertising, agency searches, hosting private events, leading visual merchandising and the creation of a revenue-neutral magalogue as Creeds advertising vehicle, unearthing new designers, all while establishing many world-celebrated names in high fashion in North America. We sold ready-to-wear, handbags, shoes, accessories, lingerie, furs, gifts, and jewelry, from ball gowns to sweatshirts. While traveling the world on buying trips, I had front-row seats during Fashion Week and wandered showrooms on the left bank, in chateaus and palazzos, and on 7th Avenue. Through-out Creeds history, customers included royalty, celebrities from actors to athletes to famous musicians, political leaders and diplomats, influential journalists, writers, the rich, the aspiring rich, and the establishment. 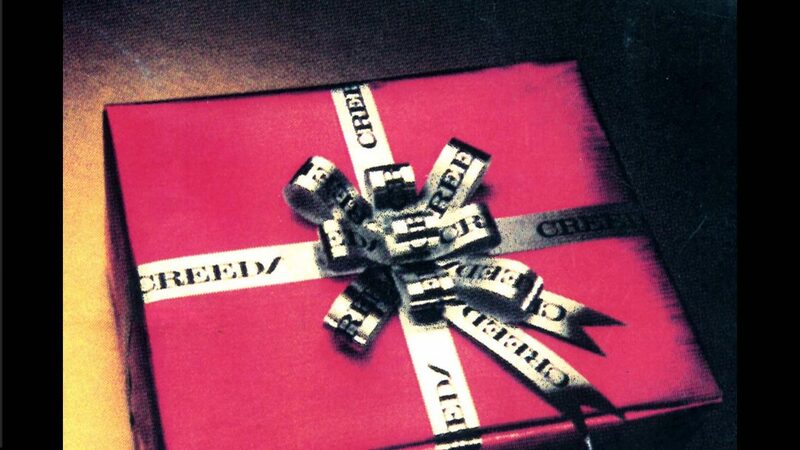 And if something came in a Creeds box, you knew what was inside was special. Its prestigious signature black linen-papered boxes (or seasonably red) and silver logo’d ribbon was considered a status symbol worthy of collecting.